Q: How common is surgery? A: Surgery is extremely common. It is estimated that as many as 234 million surgeries are performed around the world every year. That is one surgery for every 3 people. Q: So what does this mean for the average person? A: This means that within just the next year, each person has a 30 percent likelihood of undergoing surgery. Further, this scenario becomes even more likely for those living in developed countries. Q: What am I up against with surgery? A: No surgery goes without risk. There are well defined risks and benefits to every procedure. The ideal scenario is a surgery with no expected repercussions, rather theoretical risks. Pain is the one, singular surgical complication that is always to be EXPECTED. Pain is dynamic and will vary in accordance with multiple of factors. Q: Why should I consider consulting pain management for my surgery? A: Modern medicine is extremely specialized and has been advancing exponentially in recent years; at a rate paralleled by few other professions. New and revolutionary therapies are introduced to the public on what seems like a daily basis. The specialty of pain management is no exception and should be no outlier to this trend. Traditional treatment methods can be improved upon but unfortunately are under-shared and underutilized. There is no excuse to practice outdated medicine. Q: When should I consult pain management for my surgery? A: You should consult a pain management specialist before your upcoming surgery. Increased pain is to be expected immediately after surgery but you should not wait until after to seek treatment. It is favorable to institute pre-operative measures in the management of post-operative pain. Q: If I don't have pain before my surgery, can I wait until after to consult pain management? A: No. We follow the general rule of thumb that if anything is to be expected, it should be prepared for (pain in this case). Logic proves this wise and it certainly should not be deviated from in a matter as serious as surgery. Even if you are pain free before surgery, remember that you will experience some degree afterwards. It may be too late and/or result in unnecessary complications if you wait to address it after your surgery has been finalized. Q: What will be done differently if I see a pain management specialist before my surgery? A: The gold standard of treatment is a fine-tuned medication regimen that will be started the night before your surgery. Conventional management targets only one source of pain and usually with just a single agent medication. This typical requires high doses of habit forming medications to achieve pain relief. Research shows that the concurrent use of up to three, safe, non-narcotic medications results in superior outcomes without the risk of unnecessary side effects. Not only is this method more effective at managing pain, it will actually prevent a large amount of pain from ever arising. We now have the ability to dissipate and control the intensity of post-surgical pain before body perceives it as it otherwise would be. Q: How do I find out what is the right pre-operative treatment plan for me? 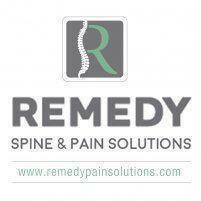 A: Schedule a consultation with Remedy Pain Solutions for an initial consultation and evaluation. We will discuss with you our exclusive regimen and even make additional adjustments or optimizations if necessary to work best for you.